I started writing for theatre because I like the simplicity – one chair can be enough to tell a whole story. I write because I can ask questions with language, there are gaps in it. That helps me in life. I would like texts to overcome barriers and make as many boundaries as possible superfluous. See below all the activities involving Claudius Lünstedt in the frame of Fabulamundi. Born in Munich, Claudius Lünstedt graduated in dramaturgy from the Felix Mendelssohn Bartholdy Hochschule für Musik und Theater Leipzig, studied D.E.T.S. (directing, dramaturgy, stage design) at the Université Paris III Sorbonne Nouvelle, and at the Dramenwerkstatt of the Bayerische Theaterakademie Munich under Tankred Dorst. 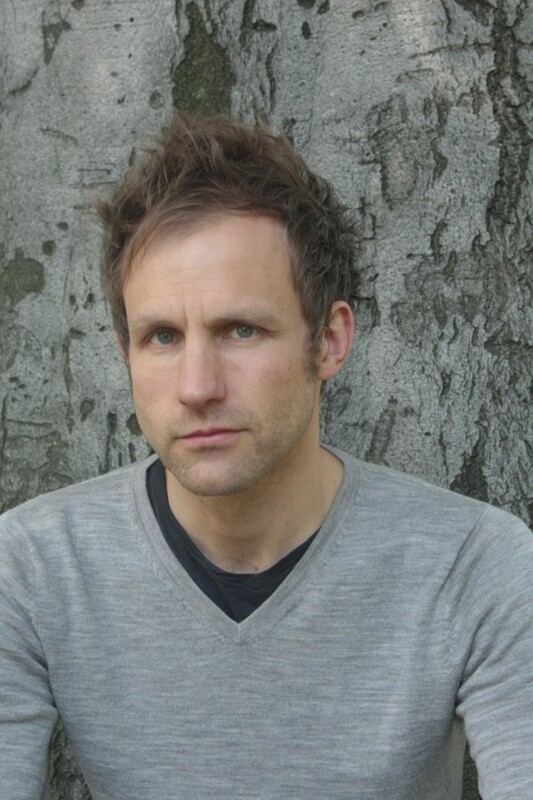 Since 2003, he has published and premiered over two dozen plays, represented by Verlag der Autoren (Frankfurt/Main). He has premiered plays in cities including Vienna, Berlin, Nuremberg and Dresden. Among the several awards he has received there is the Else Lasker-Schüler Play Prize, the Lenz Prize of the city of Jena, the Dutch-German Young Playwrights Prize and the Golden Mask Award for the libretto “Heiliger Franz”, premiered at the Moscow Bolshoi Theatre in 2012. He was a fellow of the International Research Center “Interweaving Performance Cultures” in 2015, scholarship holder at Villa Kamagowa artists’ residence in Kyoto, Japan, in 2012, and fellow of the Centre National des Ecritures du Spectacles La Chartreuse, Avignon, in 2006. Claudius Lünstedt teaches dramatic writing at the Universität der Künste Berlin and lectures at the Institut für Theaterwissenschaften of the Freie Universität Berlin. In addition, he acts as adviser to the International Forum for Young Film of the Berlinale film festival and translates plays from French. The play is about Sven and his fight for survival as he sets out to find a better life but realizes that people don’t necessarily act any differently in other circumstances. In 24 short scenes and over a period of some ten years, MUSST BOXEN tells the story of a man who sets out to find freedom. Sven’s mind is made up: He has to get away – away from his father and mother, from his girlfriend and child, from East Germany, from himself. He is a romantic rebel and a lone wolf, rising up against his barbarous environment. MUSST BOXEN is set in Mecklenburg and Bavaria. But it is not about inner-German history; it is about the search for a meaning in life for which there are no role models – sentences are no longer intact; silence descends into acts of violence. The play is about three young people whose unconditional quest for self-fulfilment brings them fatally together. In this play, three protagonists speak in three monologues that complement and contradict each other, and which ultimately condense into one, jointly experienced story, a crime. In powerful, fragmentary language, KRIEGER IM GELEE recalls the characters’ pasts up to the surprising end. The open, multi-perspective arrangement of the play in this way, and as if incidentally, explores the narrative forms of contemporary drama. Switching between monologues, dialogues and epic passages, in Teheran 1386, Claudius Lünstedt tells the stories of seven young people who live in the Iranian capital – stories not only of ruptures in their professional and private lives, but also of those that exist in the society they live in. At the same time, and almost incidentally, Lünstedt captures the vibrant rhythm of a metropolis which is at the intersection of tradition and modernity. The play furthermore draws intriguing parallels to the situation of young people of the same age in the so-called West. The text is based on research and interviews conducted by Claudius Lünstedt during a longer stay in Tehran. Krieger im Gelee is about three young individuals whose unconditional search for self-realization brings them together in a fatal manner. In three monologues Claudius Lünstedt allows each one of them to have their say – three monologues that complete and contradict, condensing to a single story: a criminal case. With a powerful and at the same time fragmented language, Claudius Lünstedt reviews the thoughts, actions and motives of each of the three individuals until the narrative reaches a surprising end. The multi-perspective and open form of the text incidentally questions the narrative forms of contemporary drama. Zugluft is about a family whose daily life in a cramped apartment comes apart at the seams when the father is suddenly assaulted. Their son is teased by his classmates since the father had not resisted the attack. While the boy and his older friend Kolja make plans to take revenge on the father, the mother has an affair with the offender. The conflicts smoulder, speechlessness suffocates the family until the situation escalates.